Over the last few years SiteScape has completed a number of landscaping projects at our home. They’ve trimmed shrubs and installed trees and evergreens. We’ve enjoyed this summer more than others due to SiteScape’s installation of mulch and weed control. The crews are always very professional, taking the additional time necessary to protect our lawn and driveway. 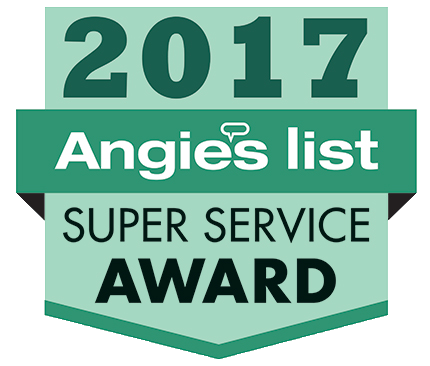 SiteScape’s referrals for irrigation and tree trimming took great pride in their work as well. We highly recommend SiteScape, Inc. Thank you. have services completed, the lack of communication amazes me and in this case, we did not deal with that whatsoever. My Father-in-law called us mid day and said they were doing a great job and that he was leaving and they would finish. My husband gets home from work before I do and I called him to ask how they looked. My husband and my father-in-law are very particular by the way; as am I….I have to admit. The first words out of Brent’s mouth were “They did a terrific job Kim! I have never seen a job done this well, seriously. When I stand at the end of the row and look down, the trunks of every single tree are aligned to a “T”! They are staked of perfectly and do you believe these guys actually hand dug each one! You cannot even tell they were in the yard. They cut the sod/grass around the tree perfectly. They did an awesome job Kim” Then I proceeded to drive home. When I pulled down the street, I was smiling when I approached them. I could definitely see why Brent had said what he said! I felt relieved, because I have to be honest, I was a bit worried about the yard, the septic field, and just if they were going to look good overall. Your team did a top notch quality job & I would recommend your company to anyone Kevin. Please be sure to thank your front line associates for their efforts for making a new customer very happy! This kind of work is what it takes to grow new business and get repeat business! I am very sure we will be in touch in the future when I get to our next project! (smile). Thank you very much. Dear Kevin at SiteScape, Just wanted to say thank you for a job well done! I recently hired your company to plant 3 trees in my back yard. Unfortunately I had to work, but I left directions for you as where to dig and plant, etc. When I arrived home, I was very pleasantly surprised to see my new landscaping, PERFECTLY planted, balanced and mulched. You also made sure that there was no destruction of my surrounding flowers and plants. I think its important for you to know how satisfied I was and that I will definitely recommend you to my friends and family. I will surely be contacting you for future work. Many thanks. About three years ago, I moved into a new construction home and had my landscape completed by your company. I had brick pavers installed for a patio along with the sidewalks. I also had the full landscape completed which included bushes, trees, flowers, rocks, mulch, etc. The design was second to none. All the neighbors, upon completion were in ahh!! My wife and I decided to sell the home and were skeptical about the current real-estate market in the Metro-Detroit area. Being involved in mortgages myself, I knew that the appreciation on many homes was not as great as the owners anticipated. What made it worse was that many homes were taking 6-9 months to sell after multiple price decreases. I purchased a ‘For Sale by Owner’ sign from the local Home Depot and stuck I tin the ground on a Wednesday. By that Sunday, I was signing a purchase agreeemtn. My phone began to ring the following day. The individual that purchased my home did it because of his/hers love for the landscape that your company designed and installed. Currently I am building a new construction home and will be calling SiteScape as soon as I move in. Your design and architectural talent is second to none. Just as many businesses exist today, your also has many competitors but I can assure you that no other company has the knowledge, training, and the talent to do such a superior job. Great work guys and thanks for helping me sell my home in 4 days. My husband and I are extremely pleased at the transformation that SiteScape performed on our front yard. The front of our house went from drab to wow in less than four days. We look forward to SiteScape doing more work around the pool and deck in the back yard in the near future. We will contact you when the deck is refurbished and the pool is complete. Thank you again for the beautiful design and installation of the pavers and plantings. Dear SiteScape – so far the design is just beautiful. We can’t wait for the next season of color. We appreciate all your phone contact to keep us abreast of the progress. Thanks again! The extreme Makeover Home Edition was such a touching program. SiteScape has always been excellent to work with and it was so very wonderful that you helped the Vardons. You should be proud! Thank you for a beautiful landscape. I received many compliments expecially in regards to the pavers and waterfall. I rave about your guys’ work. Thank you again! Tree planting in the Village at Vineyards was completed on April 21, 2004. Once again, Darrin and his crew did an excellent job. What a great system they have. They really know what they are doing! We are so pleased with the new trees and we are amazed at how quickly they were planted. Once again, thanks to all. You recently completed a landscaping job for us at the above address. When we decided to get bids for this job, we contacted three contractors. We received two bids (the third just called back this week, after you already completed the job!). You were not the cheaper of the two. Your presentation of the project, along with your professional approach to this job, was the deciding factor. We made the right choice. You handled every detail completely. Your workers were very professional and prompt. I especially liked how you called to let us know whether to expect you or not each day, depending upon the weather. In today’s environment, where ‘customer service’ seems to be another oxymoron, your professional approach was refreshing. Thanks again!! Dave and I thank you and your crew for the absolutely beautiful job you did landscaping the front of our home! It has made such an improvement and we love it! Also, thank you for all the time and talent you devoted to the planning and execution of the project. As we talked about, we have lived here for eight years and have done several ‘do-it-yourself’ landscaping projects and were never quite satisfied with our efforts. But you have changed all that! Also, I personally appreciate the time you took to answer all my questions and explain how the job would be completed. You and your crew certainly have a commitment to perfection and it is evident in the way you execute your craft! I am amazed at the detail in the brick paver sidewalk and steps. Again, many thanks for a job well done! The landscaping is absolutely beautiful. I am so happy with how everything turned out. We have received so many compliments – hopefully you will gain some work from it. Thank you for everything! After receiving many compliments from out neighbors on the beautiful landscaping job your company had completed, we felt compelled to write you a letter thanking you. From the very beginning we felt as if we were a priority when you returned our calls promptly and presented us with unique design ideas to fit the budget we had in mind. We found you and all of your employees very accommodating and easy to work with. Everyone was always polite and patient when answering our questions. We have been extremely pleased with the quality of the materials you supplied us with. All of our plant material has thrived with very low maintenance. We have watched many of our neighbors replace dead trees, plants etc provided by other companies and yet we get the pure enjoyment of watching our materials blossom and flourish. We thank you for your professionalism and exceptional service. You had exceeded all of our expectations when you were presented with the challenge of landscaping such a large area. SiteScape has left a lasting impression on us as we will always be happy to highly recommend your company to friends, family, and neighbors. Thank you so much for your help in completing our landscaping project. The improvements to our yard look great! Your team was very efficient and helpful. We will be sure to recommend your company to our friends and family. Click on the link below for instructions on how to write a Google Review. 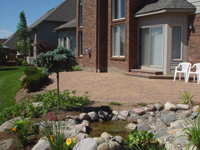 Make a Payment SiteScape, Inc. is a landscape company that services Macomb County & Oakland County. Our services include landscaping, brick paving, maintenance, design and build, outdoor lighting, hardscaping, seasonal flower displays, and more for residential or commercial locations.